Bhutan is a tiny Himalayan kingdom (46,000 sq. km) squeezed between the Asian giants China and India. 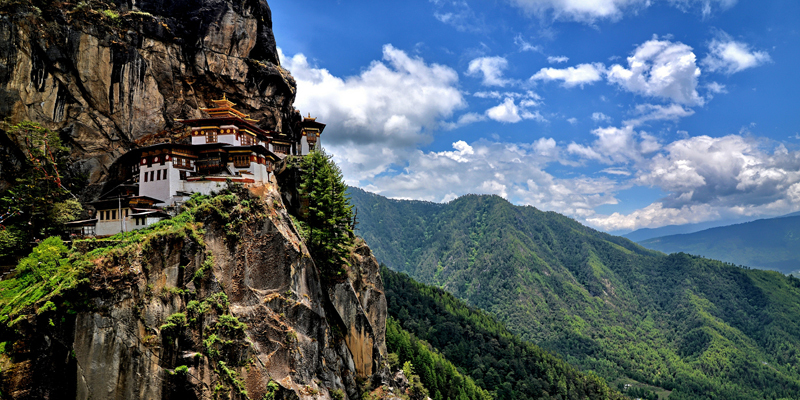 Considered the last Shangri-La, Bhutan has a population of only 700,000. However, the mountainous terrain enabled the development of diverse local cultures and dialects that are all unique on their own. As one of the 27 present day Kingdoms and one of the youngest democracies in the world, contemporary Bhutan balances preservation of culture, nature, and development under its revered development philosophy of Gross National Happiness. Since His Majesty the Fourth King of Bhutan, Jigme Singye Wangchuck, coined GNH in the 1970s, the government of Bhutan prioritizes the wellbeing of people over gross domestic product. Bhutan is the world’s only carbon sink! The nation absorbs more carbon dioxide than it produces. It sells hydroelectricity making it the only country whose largest export is a renewable energy. It is in the nation’s constitution that at least 60% of the country must remain under forest cover at all times. In reality, nation-wide conservation efforts have led to over 72% forest cover. These forests are home to a wide array of flora and fauna that makes Bhutan one of the last remaining biodiversity hotspots in the world. With an elevation range of 160m/520ft to 7,000m/23,000ft above sea level, the climate range and biodiversity in this tiny Himalayan Kingdom is unparalleled. 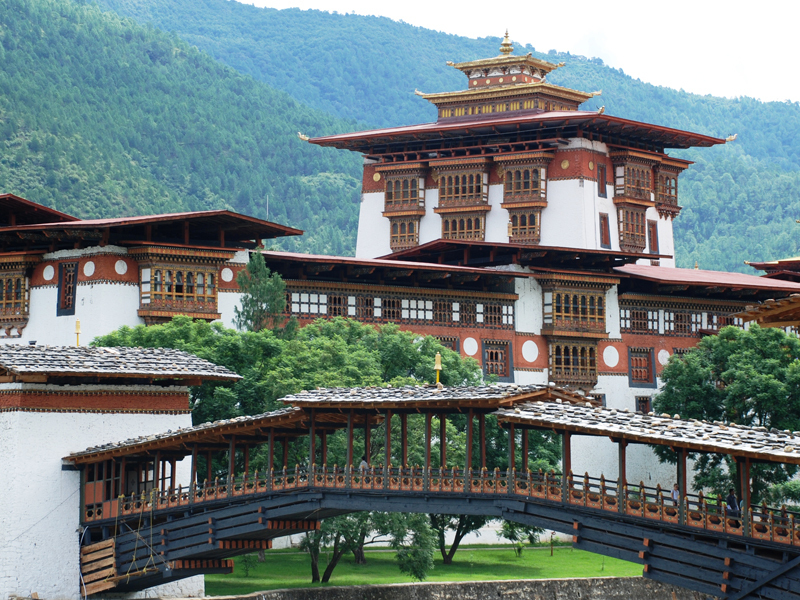 Learn more about Bhutan. We at Zigkor Tours & Travel invite you to experience Bhutan! Taktsang Lhakhang is Bhutan’s most iconic landmark and religious site. Taktsang, translating to ‘Tiger’s Nest,’ is a temple complex perched on the side of a cliff at 3120 meters above sea level. The 3-5 hours hike through beautiful, shady pine forests is permanent fixture in the Bhutan bucket list. Dochula pass offers a stunning 360-degree panoramic view of Himalayan mountain range. The view is especially scenic on clear, winter days with snowcapped mountains forming a majestic backdrop to the tranquility of the 108 Druk Wangyal Chortens. 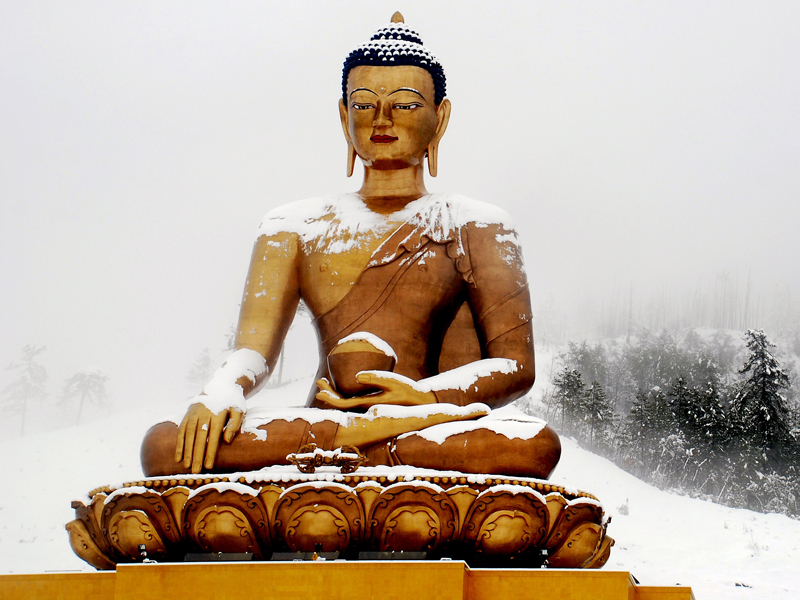 The Buddha Dordenma Statue overlooking Thimphu valley is one of the largest statues of the Buddha in the world measuring 51.5 meters in height. 125,000 smaller Buddha statues have been placed within. 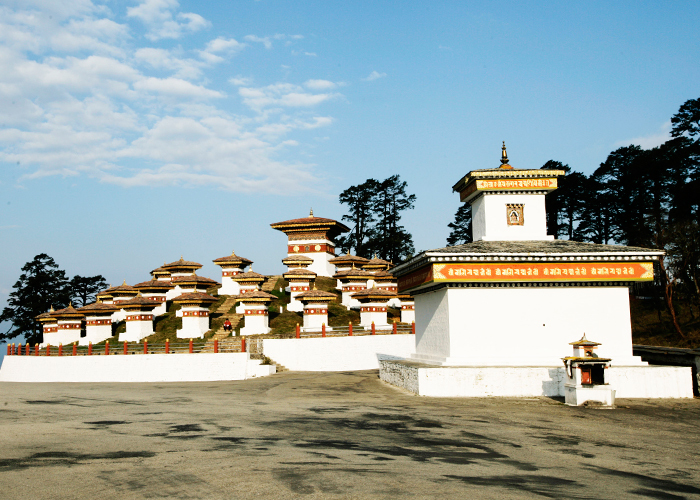 Punakha served as the capital of the country from 1637 to 1907 and has been inextricably linked with momentous occasions in Bhutanese history. 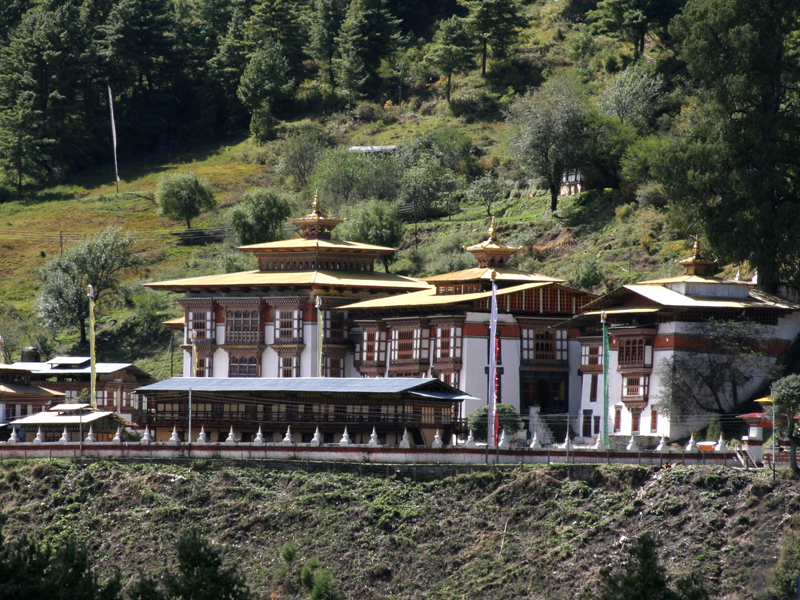 Punakha valley has a pleasant climate with warm winters and hot summers. This region that spans from 2,600-4,500m is the religious heartland of the nation and home to some of its oldest Buddhist temples and monasteries. Tales of Guru Padmasambhava and the tertons (“religious treasure-discoverers”) still linger in this sacred region.